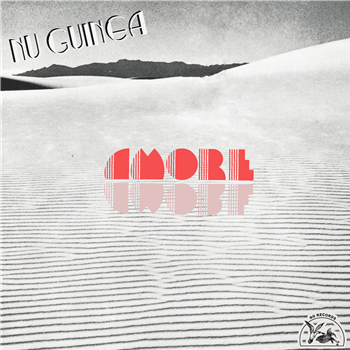 Nu Guinea’s Tony Allen remix album from last year has just left the turntable, so it’s lucky that they’re putting out a jazzy little 7” this week on their new label. ‘Amore’ is the one song on this single-sided disc. Apparently, the only copy before now was a privately pressed wedding present. It would have been a real shame to keep it that way (but still a great present). ‘Amore’ is a tribute to love that winks cheekily through the trees on a tropical beach, puts you on your tiptoes and leaves you hanging there feeling light, lazy and free. A woozy disco/jazz/funk killer, ready to be deployed with equal traction by the pool or on the discerning dancefloor. Amore is available now, limited to 350 copies. You might find it at Phonica. Like 45turns on Facebook for more great new music on vinyl.